I am missing getting vegetables from my sweet friends, Sandy and Michael. We were roasting okra by the bushel back home and we always ate every bite. It is a family favorite for sure. 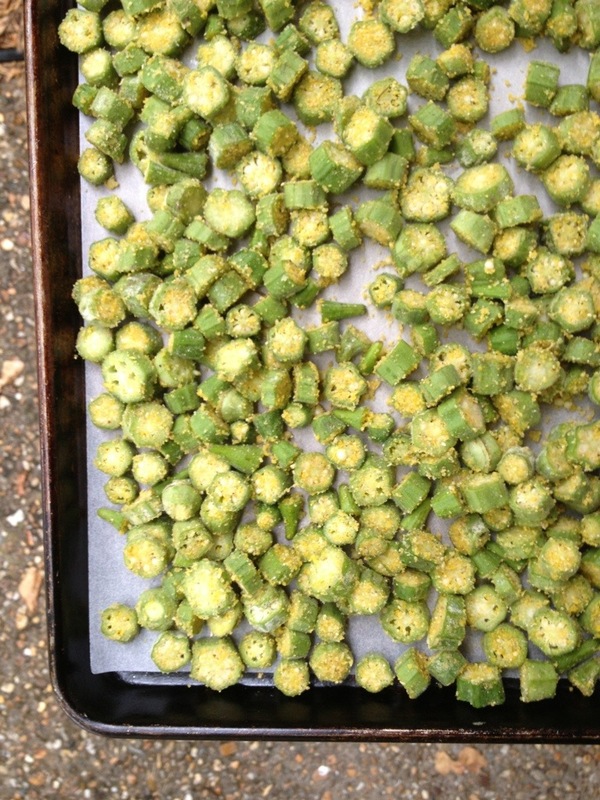 My mom tosses okra in olive oil and cornmeal before baking it, which mimics southern fried okra, but is much healthier! It’s super yummy! As promised, here’s the recipe! The amounts are really guesses, as Mama doesn’t measure but just kind of tosses it all on until it’s coated evenly. She uses stone ground cornmeal. Toss okra with olive oil to coat. Then toss with cornmeal. Spread on a parchment lined baking sheet and bake at 425 degrees F for 20-25 minutes, stirring once at 15 minutes. 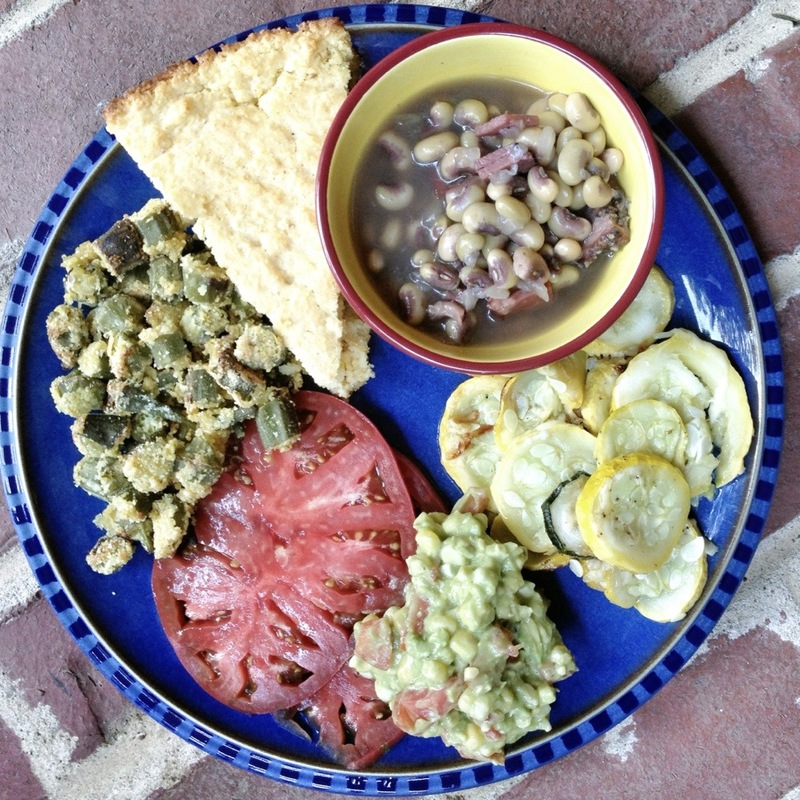 Serve immediately with all your favorite Southern veggies! Yum! 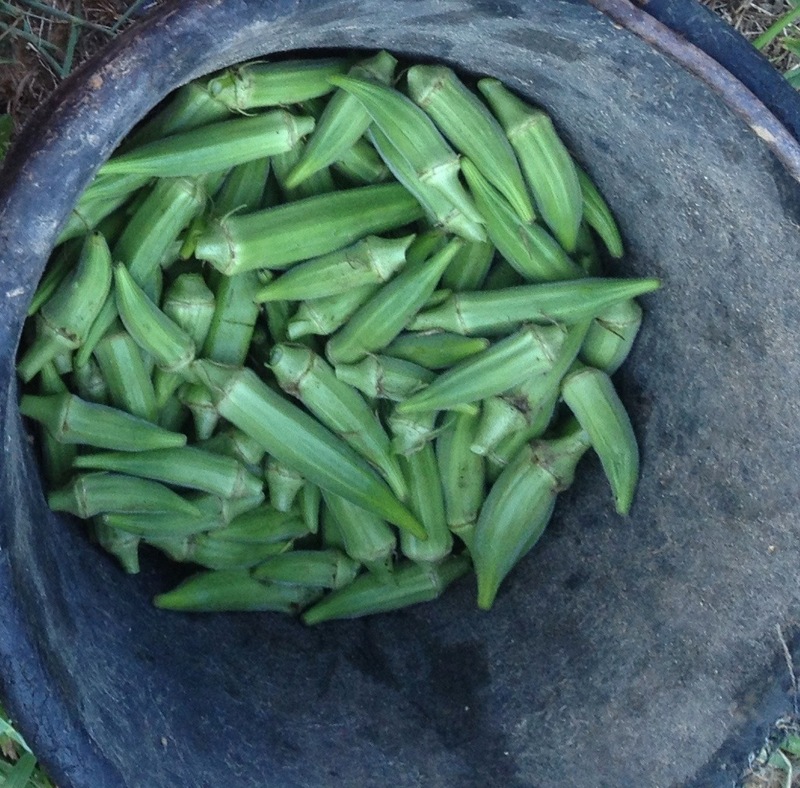 I have never roasted okra, but will soon! Thank you for sharing!